Berkshire Museum in Pittsfield, Mass. has scheduled the world premiere of M.C. 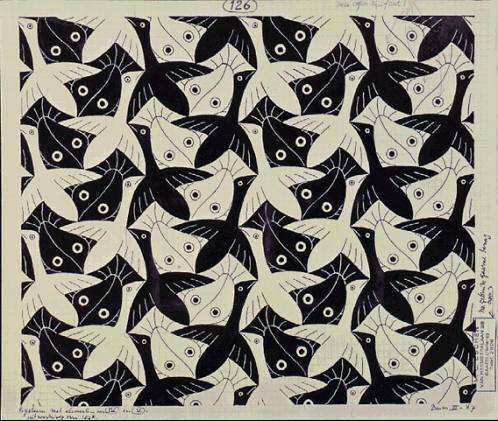 Escher: Seeing the Unseen, an exhibition of the work of M.C. Escher, to open Jan. 22, 2011. This will be a major exhibition curated by Berkshire Museum that includes major loans from the Boston Public Library and Escher collectors and gallerists. M.C. Escher: Seeing the Unseen provides a full-on experience, including an up-close look at several rarely-displayed works, original woodblocks alongside prints hand-made by the artist, hard-to-find prints of many of Escher’s iconic images, and hands-on interactive stations providing the chance for visitors to find the fun in Escher’s technique and explore his innovation in a personal way. Running through Jan. 16, 2011 at the Berkshire Museum is Paper and Light, an installation by Henry Klimowicz.